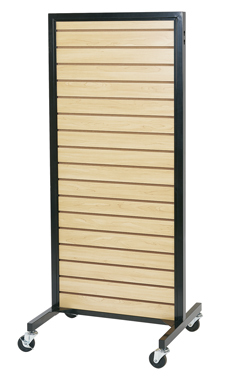 The Metal Framed Rolling Slatwall Merchandiser is a versatile display that can be easily moved throughout your store. Add on hooks or sign holders to make this unit customized to fit your display! Comes with casters included and in an attractive maple color to coordinate with other pieces in your store.